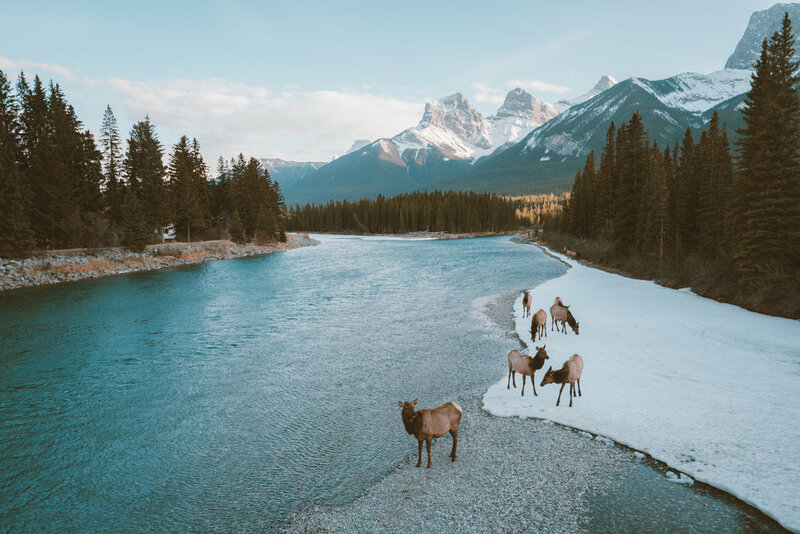 Free from the crowds of the summer and the sub-zero temperatures of winter, Springtime in Banff is a great time of year to experience the Canadian Rockies coming to life. Sure, you’ll get some wild days that go from foggy mornings to sunny, beer-on-a-patio-worthy afternoons, to then snowy evenings. But for those who aren’t made of sugar, the Spring is a great time to experience Banff on your own terms. And also at shoulder season prices! Here’s our guide of what to do and where to eat - let’s get to it! Full of so much natural beauty, rich history, and no shortage of great activities, there are many great ways to experience this unique destination. Key Largo, Islamorada, Marathon, heck you could easily spend a week in Key West alone! But in our opinion, the best way to experience the magic of the Florida Keys is too see them all by taking a road trip. Behold, our ultimate 5-day itinerary through the Florida Keys! Two days into our Vietnam adventure, and we were somehow already exhausted. Or maybe it was just me. With swollen feet, severe dehydration, and immense exhaustion, let’s just say my transition to SE Asia from North America was rough. Luckily, we’d booked a tour with L’Azalee Cruises, on their premium cruise, toward the beginning of our trip, which proved to be one of the most relaxing parts of an incredible two week tour through Vietnam. After spending 2 days adjusting to and absorbing the vibrant energy in Hanoi, we were picked up in a private (and air conditioned!) transfer for the two hour journey to Ha Long Bay. As English is much more difficult in Northern Vietnam than I had anticipated, and transportation between destinations was one of our greatest challenges throughout the trip, just having this transfer pre-arranged made things so much more simple and calm. Not to mention, it was a full-size bus that could easily have accommodated 20-30 people, and there were only 5 of us on it. With all this extra space we spent our 3 hour journey with a row to ourselves, happily napping. When we arrived at the port in Ha Long Bay, our boat was still being prepared, so we joined a handful of other guests in their lounge, and had just enough time to have one of my favorite iced Vietnamese coffees before being called out to board out boat. Greeting us with cheerful smiles, the incredible crew that we would come to love over the next 2 days helped us board the ship for our Ha Long Bay adventure. As soon as we boarded, we ran downstairs, excited to see what was in store for us on this luxurious, private cruise. Greeted with air conditioning (again I can’t tell you what a blessing this is during rainy season in Vietnam), the comfiest bed (also hard to come by in Vietnam where many beds feel like boards), and practically panoramic views of the bay on either side of our cabin - you could say we were thrilled with the accommodations. While we could have spent the hours downstairs just enjoying our cabin, we were very promptly summoned upstairs to the main deck where a feast of food awaited us. Course after course, we were treated with traditional Vietnamese soups, salads, dishes, and desserts. Never in my life have I been so well fed. We spent the rest of the day visiting various spots throughout the bay, checking out exciting caves and coves, all the while accompanied by our attentive and kind crew. At every stop, they were excited to share facts and insights about the sights and sounds, eager to tell us all about their wonderful bay. When there were slippery rocks on any of our many excursions, they were quick to offer to carry my camera, and I really can’t emphasize enough how wonderful they were at making this journey as fun and relaxing as possible. After a full day of sailing through the bay and checking out several outposts along the way, it was time for yet another delicious multi-course meal. With wine in hand, we ate, drank, laughed and cried as we listened to the sweet sound of rainfall surrounding us in the calm bay. The next morning we awoke, well rested, and were greeted by yet another delicious feast for breakfast. As we continued to cruise through the bay, we visited a pearl farm where we learned how pearls were harvested, and kayaked through the magnificent, rocky cliffs for which this area is famous. Slowly, we made our way back to port, cruising between the rocky karsts, in awe of this magical bay where we’d had the pleasure to spend the night. When we arrived back in port, we felt rejuvenated, invigorated, and thrilled that we had chosen L’Azalee Cruises for our tour of Ha Long Bay. I know that I’ll always have an unquenchable drive to explore new places. I know that I’ll always have an unquenchable drive to explore new places. It’s in my nature. There’s just so much left to see in this world to see, and I’ll never stop exploring it. But after several recent trips abroad, I’ve been feeling inspired to explore the beauty that is my own backyard, enjoying the natural wonders that are within arm’s reach. During my travels I met several people who dreamt of visiting the US and Canada, to explore the mountains, the lakes, the coasts. They made me realize that sometimes we take for granted the wonders around us.